Joining a new fitness club or trying out a new exercise routine can understandably stir up some anxiety in people, but that should never mean completely skipping out on bettering physical health. With programs like Gyrokinesis though the atmosphere is serene and welcoming. What makes Gyrokinesis an enticing offer to those who feel they are incredibly out of shape or who might have social anxiety is that the instructor speaks throughout the entire class, keeping the focus on the center of the room and walking your through every motion and step. There are two ways that this constant guidance helps people with anxiety problems. First, by having a single point of attention during the entire program, people participating in the exercises won’t feel others in the class are looking around or being judgmental to anyone else in the room. Second, Gyrokinesis is a very internal school of exercise that helps build confidence and peace of mind alongside its fitness benefits, so a few minutes in, most students even forget that anyone else is in the room along with them. So whether you’re new to the fitness game or have been out of the game for a while you can get into shape in a friendly, nonjudgmental environment. And whether you just don’t like people staring at you while you bust a sweat or want to find a healthy way to relieve stress and anxiety, you’ll find that a Gyrokinesis class can help you meet your health goals. We invite you to participate in our Gyrokinesis classes and see for yourself how welcoming, comfortable and relaxing they can be. 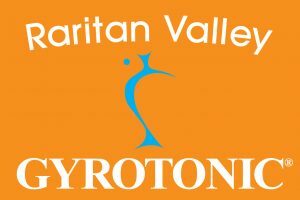 If you want to learn more or take the first step in joining a class, give Raritan Valley Gyrotonics a call at (908) 288-7551, send us a message or stop by the studio today.